Issues have plagued the Asus Transformer Prime’s GPS functionality since its debut. Asus attempted to release a software update to correct it, only to find many users reporting that the issues just got worse. Ultimately, the heart of the issue lies in the fact that the body of the Transformer Prime is constructed of all metal with no plastic escape panels for antennas. It looks as though Asus isn’t happy until its customers are happy. A user over at XDA leaked an email conversion between a Transformer Prime owner and an Asus Jr. Technical Product Manager. 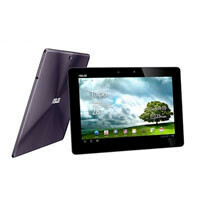 According to the exchange, Asus is planning on sending GPS dongles out to all registered Asus Transformer Prime users. The current ETA for this initiative is mid April. Shortly after that post, another member chimed in admitting they are one of the people testing the dongle solution. They also pointed out that this was supposed to be a secret until Asus makes an announcement. This user states that the dongle is “very minimalistic and made to look like part of the Prime.” He also warns that testing is still going on and the results of that testing will determine if this will be an approved solution. To get Transformer Prime owners’ hopes up even more, the folks over at LandOfDroid managed to obtain a screen shot of what looks to be a registration page to receive the dongle. As long as this solution is acceptable in Asus’ tests and, of course, all of these leaks are true, it shouldn’t be too long until Asus Transformer Prime owners finally get a solution to their GPS woes. Hmm iPad has no such issue. No. But they will give you external WiFi adapter with new iPad very soon. no kidding, that's about 1000x more important. I can't imagine how do they release such high end products without testing! I'm sure Asus wanted to be the first tablet with the Quad Core processor.. Can't blame them for rushing tho, but the WiFi issue is non excusable. One of the 2 reason i didnt get this tablet :(. such a shame!! really its a shame! Hi Jonathan, Thanks a lot your suggestion, seen that I had to wait for 3rd generation. when the tab will release.